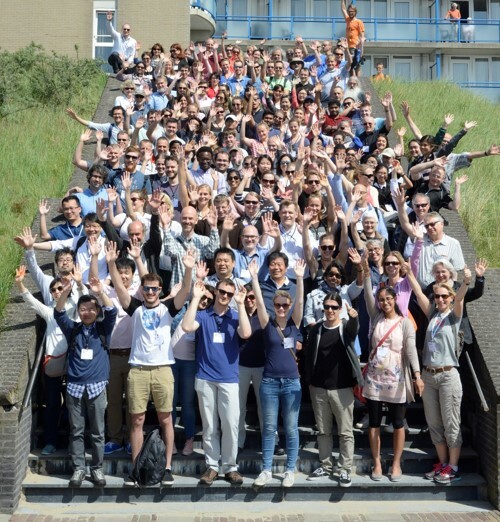 Thank you for attending Europic 2018! The meeting was a great success and we hope to meet you all again in Finland in 2020! Originally founded as meeting of the European Study Group on molecular biology of picornaviruses, Europic has been attended by picornavirologists from all continents. These bi-annual international conferences have a broad agenda that evolved over the years beyond the original focus on molecular biology and currently covers all aspects of picornavirus research. The Europic is a world premier virology conference that focuses on studies of picornaviruses, a family of small RNA viruses of vertebrates. This family includes the iconic poliovirus, and such other pathogens as enteroviruses (e.g. EV-A71, EV-D68, coxsackieviruses), rhinoviruses, hepatitis A virus, and foot-and-mouth disease virus, as well as many other viruses whose number is growing by day with new discoveries. The Europic 2018 agenda included presentations and discussions on natural picornavirus diversity and circulation, virus dissemination in the infected body, host reaction to picornavirus infection including diseases, virus-cell interactions, the molecular mechanisms of the viral life cycle, and the development of tools for detecting and characterizing picornaviruses as well as vaccines and antivirals to control picornavirus infections. A special session on “Polio eradication and beyond” s included in the Program to steer debate and collect opinions of picornavirologists about scientific challenges of the ongoing global campaign on the polio eradication and the emerging role of non-polio enteroviruses in the post-eradication era. The final program book including all abstracts is now available. On site you will also receive a printed version. To download/view the program/abstract book please go to program -> program & abstract book.